Working in Fairfax: Where to Live? A few months ago, Bernard and Rachel moved to Fairfax County because Bernard got a new job and he would be working in Fairfax County. Bernard’s new office would be located in Tysons Corner (within Fairfax County), so they set out to look for a nice home, conveniently located so that he would have a reasonable commute. 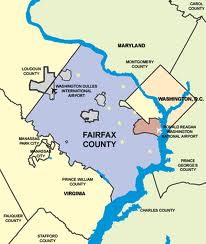 Why move to Fairfax County VA? Is Fairfax County right for you? When Ellen and her family were being transferred to the DC area, she was confused about where to start her search. She knew that DC was too urban for her needs and that led her to research her options in the neighboring suburban counties of Maryland and Virginia. Ellen focused her search on three elements: public schools, crime rates, and taxes. Fairfax County Schools are highly ranked- according to a Newsweek Report on the top 1500 public high schools across the US. The 2009 report ranked ten of Fairfax’s 25 high schools in the top 10% of the list. Further, according to this report, the median rank of all of Fairfax County’s public high schools is 12%. This means that the majority of Fairfax High Schools are, essentially, excellent. So, Fairfax County schools are good, but how is the crime rate in Fairfax County? Moving to a new city is like solving a puzzle. When the many pieces come out of the box, they’re all jumbled. All those pieces need to get organized and put together in order to enjoy the big picture. What’s the big picture when moving to a new city? When relocating to a new city (such as moving to Fairfax County VA), a mom envisions a happy family; kids go to the right school, parents go to work and come back in time for dinner, and ideally, they all get to enjoy their dream home.